Michael Hayden, who used to head the Central Intelligence Agency, the National Security Agency and is also a retired United States Air Force general, said in an interview with Australian Financial Review (AFR) that Huawei had shared “intimate and extensive knowledge” of the telecommunications infrastructure it is involved in with the Chinese government. AFR also reported that General Hayden has seen “hard evidence” of spying activity performed by Huawei, the world’s second largest telecom equipment manufacturer, on behalf of the Chinese government. It is a significant blow to Huawei, having a high-profile individual “in the know” publicly state mischievous activities and claim that evidence exists to back it up. It also does not help when Huawei has been linked to selling embargoed gear to Iran and running one of its telecommunications networks. In the meantime, Congress has admonished US companies to not do business with Huawei, the British government has announced that it is going to review security infrastructure at a security center operated by Huawei in southern England, and Australia has barred the company from bidding on a multi-billion dollar National Broadband Network. So the USA have the rights to spy on other countries even the EU Commission but China can't spy on the US ? God bless the american justice ! This has to be one of the most idiotic statements i have ever heard. Nobody has the "RIGHT" to spy on anyone else. Everybody, yes EVERYBODY wants to know what everyone else is doing. Some for mostly noble reasons, like thwarting terrorism and protecting their own backside. Others do it to take advantage, to steal and take short cuts to get ahead or keep pace. Yet others do it in combination. Face it.. everybody is spying on everybody to one degree or another. I'm sure we have no idea what our government knows about us, or others.. that's by design. The trick is to not get caught. You think the EU commission isn't spying on the US or anyone else? That's laughable. Spying is like a game, a very high stakes game. It goes on until the spy gets caught, then it's often very embarrassing. 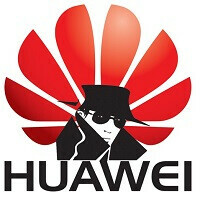 In this case, it appears that HUAWEI may have been caught spying for the Chinese government. What is the US supposed to do.. roll over and say, well we got caught, so.. ok, go ahead, just this once! The idiocy in these threads amaze me. ok. according your statement it make no sense for US blaming Huawei spying on US. then why US blaming still china spying on US? this article here is nonsense too. So how about US then, do you think they only spy for noble causes...do you think they only did that all the time, even on its own people? The mith that US is something like Snowhite, always rightful and noble is totally blown out(and it never existed for me tbh). God Bless America and its Coporationist Dictatorship. Google, Apple and Microsoft are from america and them spy for obama... that is a fact. Why Huawei woudnt do the same? True. and china does not spy on america citizens and/or its own citizens, but US spy on its own citizens. no. china does not spy on its own citizens. the great wall of china is a firewall to filter out certain things. I strongly disagree...china is a county build on barbaric idealologigies that would rather work it's people from 10 year olds to 90 regardless of their human rights.They built their empire on copying without a single thought of their own. You morons act like the USA is this evil empire...pfff get out of here with that nonsense. If it were not for us many countries would still be ran by scumbags while many other countries were scared to step up and help. Sow some Fing respect. no. no. no. you can't compare apple with orange. different countries have different culture. they do things differently. back to the topic here. US has publicly admitted to the world NSA is spying on the world, including china. it makes no sense US blame china spying on them. all communications from living and dead, human and animals are recorded is very good human right treatment. Sorry, but we lost the high road a long time ago. It started with overthrowing democratically elected governments (Guatemala, Iran) and installing friendly despots and has culminated (for the time being) in Guantanamo, use of torture, the invasion of Iraq, and the NSA spying on its own citizens. Yes, China has human rights issues for sure...but so do we. The simple fact is that in Africa...it has been China that has lieterally connected that continent with newly paved roads and highways. The only diplomacy we've instiruted there, for the sake of oil, has been at the end of a gun barrel. You are absolutely true, the only policy that US followed since becoming a world power was to wage war for its own interests...for power, for oil, to make profit from weapons industry and so on... and in the same time, at home it started removing rights from its citizens. This is what the Indian Intelligence Agency has been telling for ages. Huawei's founder has strong ties with the PLA. Is there nothing that the US Government can do to Huawei other than give them bad press? I thought that they would have arrested some individuals and charged them with something. why china cannot spy on US, only NSA can spy on their countries? does not make sense to me. I guess one possibility is that no one wants to upset China. As a lot of big companies need it's relatively cheap manufacturing capacities to make big money. No country wants to risk damaging it's economy in these troubled times. Of course, it could be for completely different reasons. anybody in the universe can invent something to stop American terrorist will get nobel prize. The level of naivete and ignorance in this thread is appalling. Every form of government throught the history of Mankind has resorted to spying to spying, whether it be their own people or another governing body's people. People make it seem as if clandestine operations and espionage are only the results of current political climates and modern technology. Going all the way back in time society consisting of a collective of tents or caves, chiefs have been dispatching agents to peer inside at night while denizens were unaware. that is, unless they were out at night spying on their own neighbors. For one thing, it's simple human nature - People have inquiring minds; inquiring minds want to know. but why US spying on china? I think there a couple of chinese government shill here. americans don't need any stuff like cisco. they already told the world NSA is spying on the world.